I am so grateful for information readily at hand. Here is a cut and paste from a website and supplement provider that I really respect: Life Enthusiast. It is on sea-sourced iodine. I will say for myself, nothing has been more instrumental in my continued healing from MS. Many botanic-sourced supplements and remedies helped get my body up from the poisoning and debilitated life that was the result of modern American medicine. As I read this information on organic sea-sourced iodine (from kelp), I wondered about Alzheimer’s disease and the millions of people who were quickly put on thyroid medication instead of given what their thyroid needed. The thyroid, like the heart, liver, and pancreas is a master gland. If and when it shows signs of imbalance that is a red light and fog horn in one. But American pharma-based medicine does not understand that. 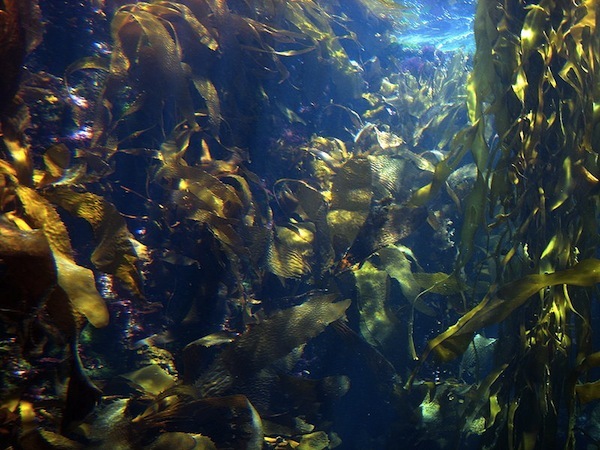 Add kelp to your diet, give sea-sourced iodine to your health. Coastal peoples all over the world have prized seaweed as a source of valuable nutrients, primarily minerals, for millennia. In coastal areas the inland native peoples used to trade their most precious possessions for a bag of dried seaweed laboriously carried on someone’s back from the coast. Essential for Type “O” Blood Type Diets! Much more will be learned in future years as the study of these wondrous plants from the sea continues. Tofu, beans, and grains contain a substance called phytic acid which blocks the absorption of minerals. With beans and grains you can mitigate this problem by soaking them for 18 hours before cooking. The soaking activates the seed embryo, which neutralizes the phytic acid. Alternatively, you can add seaweed to your pot of grain or beans, which makes more minerals available and ensures that some will be absorbed. In Nourishing Traditions, Sally Fallon and Mary Enig point out that Americans are using tofu very differently than it is used in Asia. In Asia small quantities of tofu are usually served in a fish-based broth with seaweed. The seaweed and the fish provide additional minerals that balance the mineral-leaching effect of the phytic acid in the tofu. But Americans, having identified tofu as a vegetable source of protein, have isolated it from its culinary tradition and consume huge quantities of it the way we would consume steak or hamburgers. Hundreds of substitute meat products consist mainly of texturized soy protein, and many people simply dip a slab of tofu in tamari and yeast and fry it. We would be wise to eat in harmony with Asian traditions and use tofu in smaller quantities and in combination with fish and/or seaweed. This information comes from the detail for the supplement Super Nutrient Corp: Vickery Sea-Plant Minerals. This entry was posted in Health and well being, MS and tagged healing, health, iodine, kelp. Bookmark the permalink.